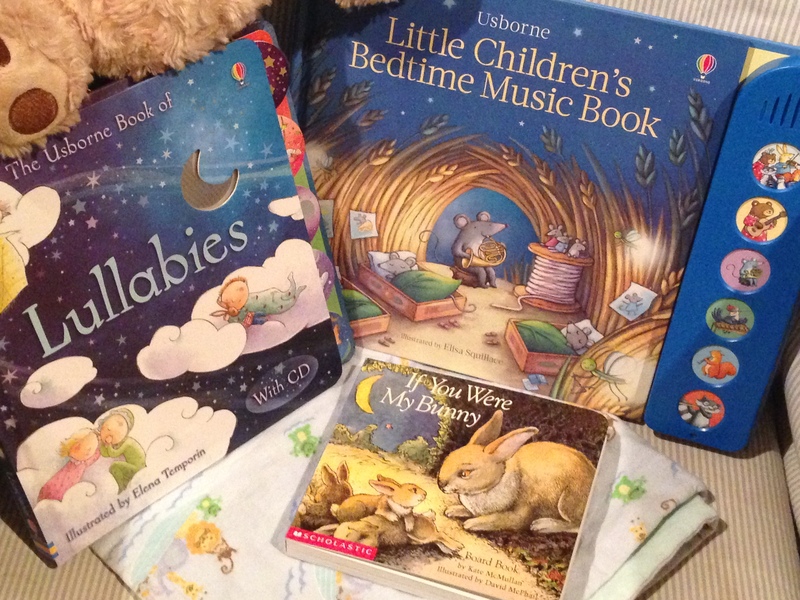 Recently I hosted an on-line Usborne book party and had such a cool experience shopping for books with my friends. I have one child that I can still rock while I read to him. These are the books I selected for our 2 1/2 year old and he loves them; I know because he hands them to me, then sits perfectly still in my lap when I read them to him. Treasuring these moments! 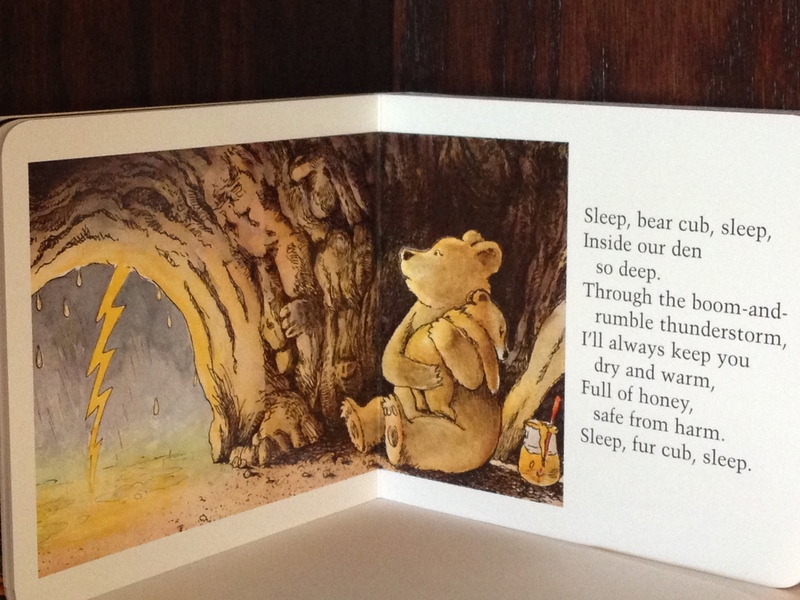 This precious 8 page book with 6 soothing tunes to go with the story is a perfect way to rock a little one to sleep. I like that this musical button book is “classical” in style and includes the violin, guitar, horn, xylophone, clarinet, and flute. 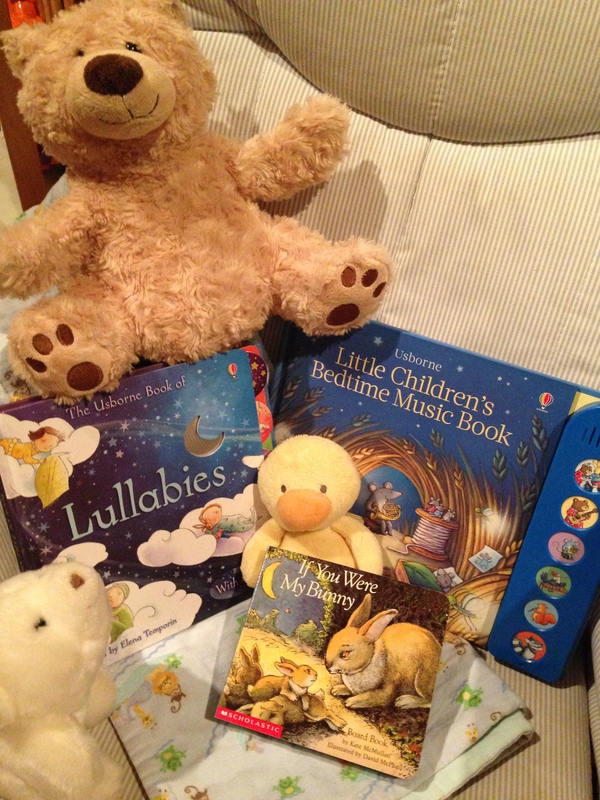 Kids can learn the name and sounds of the instruments while enjoying relaxing before rest. Super Soothing. 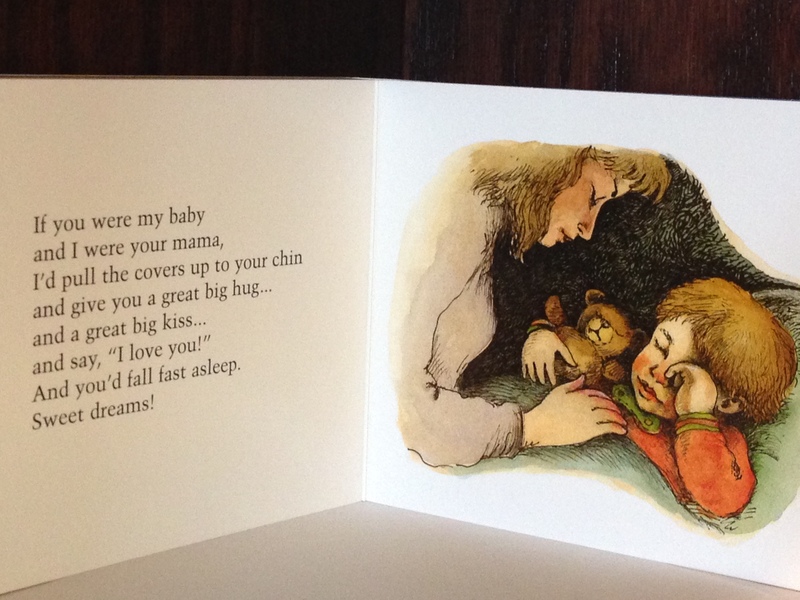 This board book with 5 tabs features the lyrics and lovely illustrations for 7 lullabies including: Twinkle twinkle, little star, I see the moon, All the pretty horses, Bye baby bunting, Golden slumbers, and Sleep, baby, sleep. The instrumental CD includes these plus several other songs. We enjoy playing the CD while rocking and singing. I don’t know all the tunes, so the CD helps me stay in tune! Super Sweet! “If you were my bear cub and I were your mama bear, I’d scoop honey from a hive inside a hollow tree and let you lick it from my paw. This illustration of mama bear protecting her cub from the storm is such a comforting picture, especially on stormy night or after a difficult day. This illustration captures the heart of a mother. Three Sweet & Soothing Sleepy Time Treasures! Like us on Facebook and subscribe via e-mail at http://www.kidsbookfriends.com for great books for kids (ages infants to eleven), with correlating activities, cool contests, and summer reading ideas. This entry was posted in Scholastic, Usborne Books and tagged David McPhail, Elena Temporin, Elisa Squillace, Hush Little Baby, If You Were My Bunny, Kate McMullan, Little Children's Bedtime Music Book, Lullabies, Lullaby and Good Night, Lullaby CD, Rock-a-Bye Baby, Scholastic, Sleep Baby Sleep, twinkle twinkle little star, Usborne Books. Bookmark the permalink.